Canada 1992 Folk Heroes set. SG1505-SG1508. Used 1992 Folk Heroes set. SG1505-SG1508. Canada 1993 Prominent Women set. SG1529-SG1532. 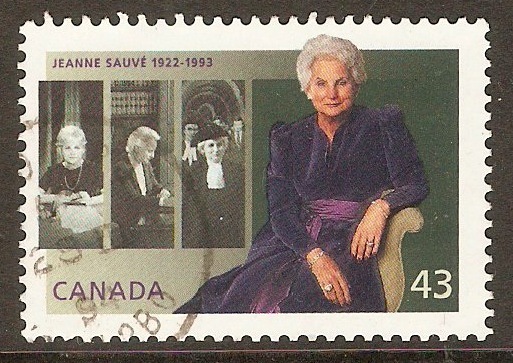 Used 1993 Prominent Women set. SG1529-SG1532. 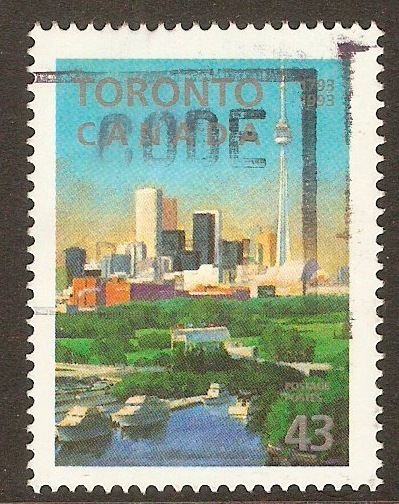 Canada 1993 43c Toronto Bicentenary. SG1557. Used 1993 43c Toronto Bicentenary. SG1557. 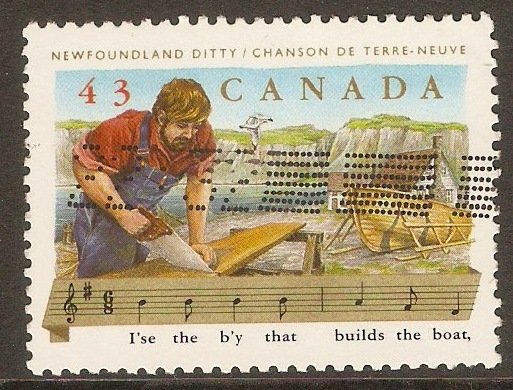 Canada 1993 43c Folk Songs series. SG1565. Fine used 1993 43c Folk Songs series. SG1565. 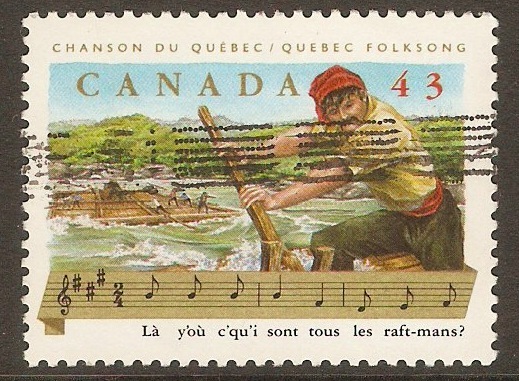 Canada 1993 43c Folk Songs series. SG1566. Fine used 1993 43c Folk Songs series. SG1566. 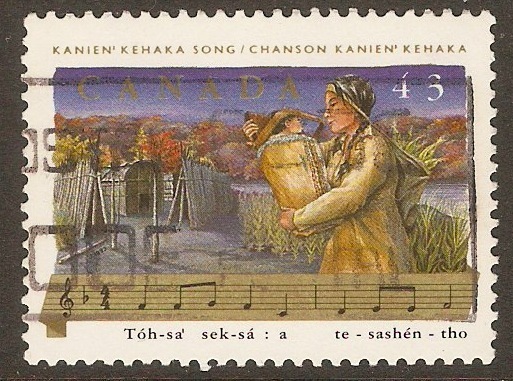 Canada 1993 43c Folk Songs series. SG1567. Fine used 1993 43c Folk Songs series. SG1567. Canada 1993 Prehistoric Canada set. SG1568-SG1571. Fine used 1993 Prehistoric Canada set. SG1568-SG1571. 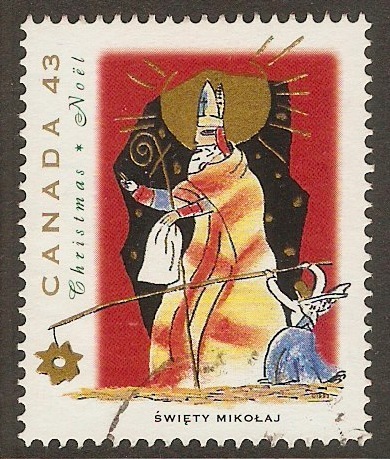 Canada 1993 43c Christmas series. SG1573. Fine used 1993 43c Christmas series. SG1573. 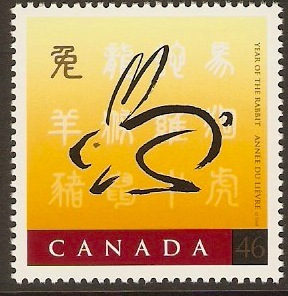 Canada 1993 86c Christmas series. SG1575. 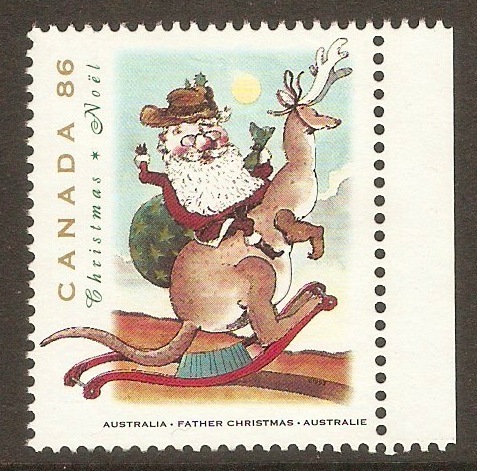 Unmounted mint 1993 86c Christmas series. SG1575. Canada 1994 43c Jeanne Sauve Commemoration. SG1582. Fine used 1994 43c Jeanne Sauve Commemoration. SG1582.